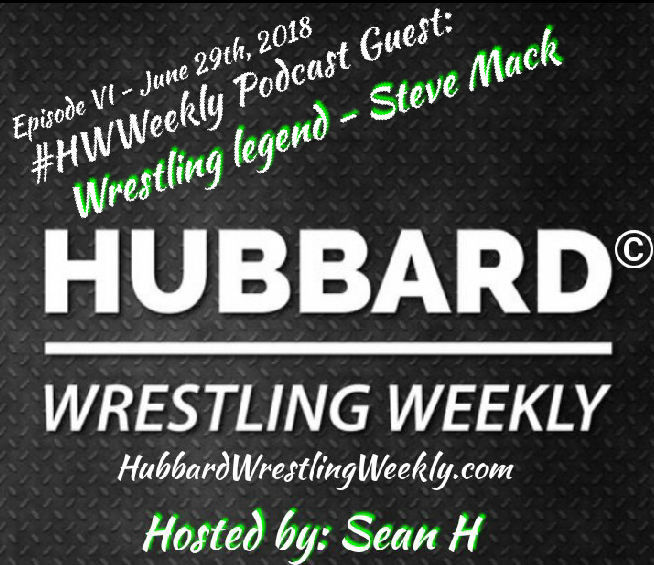 In what was an awesome interview, the iconic Steve Mack sat down with Hubbard Wrestling Weekly and was open and honest about everything. And when I say everything, I mean EVERYTHING. From his history in the business, to the Hit Squad, to his training, to traveling all over the world becoming the star he’s become, to his former friend & Tag Team partner Dan Maff (you do not want to miss this, as Mack makes some serious allegations and dangerous promises to his former teammate), and even a candid warning to Vince Steele… This was truly and epic interview. So, you know what to do… click play and enjoy the #HWWeekly podcast episode six, featuring Hit Squad legend Steve Mack.